Jed Syrenne wants to explore unanswered questions and large mysteries, so he was eager for the University of Montana to open the door to a neuroscience major. Last school year, UM launched the major, and for Syrenne, it's a perfect fit. Neuroscience, the interdisciplinary study of the nervous system and brain, is an established area of scientific inquiry and yet an emerging area of intense focus. 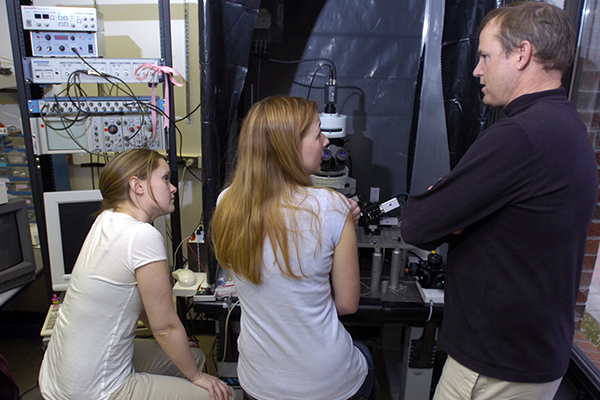 The UM Neuroscience Major contributes to understanding the cause, treatment and prevention of neurological disorders, traumatic brain injury and mental disorders by educating enthusiastic students from across the state of Montana, the US and the world. The Neuroscience Major provides students a comprehensive understanding of the structure and function of the nervous system and brain. 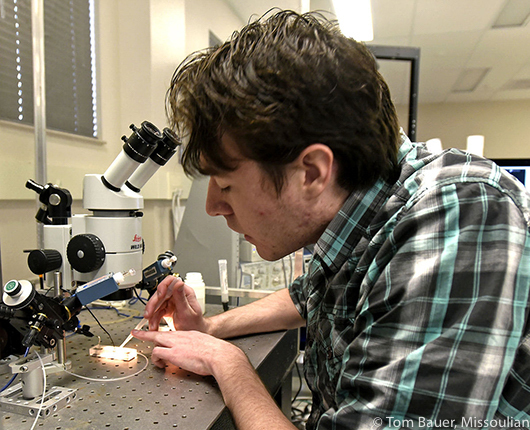 The major consists of two degree opportunities with students choosing between the Cognitive & Behavioral Neuroscience and Cellular & Molecular Neuroscience options. Both options ensure that students receive training in neuroscience techniques and neuroscience research, and scientific writing. 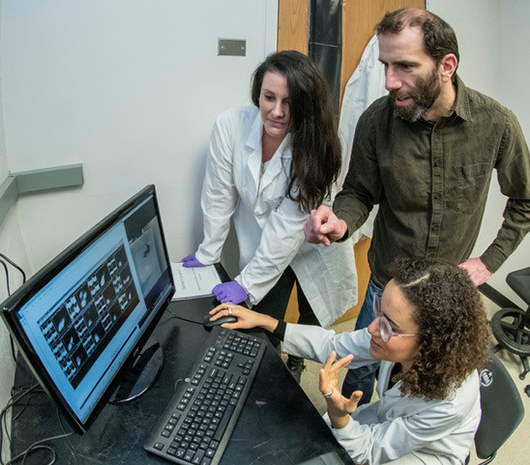 The program will prepare UM students to pursue graduate work in neuroscience or careers in medicine, academia, education, research companies, law, science writing, speech pathology, and other disciplines in which scientific knowledge of the brain are key components. The curriculum is broad, comprehensive and interdisciplinary, and will nurture understanding of the nervous system from multiple perspectives and approaches. Courses are taught by faculty in the Division of Biological Sciences, Psychology, Biomedical & Pharmaceutical Sciences, Chemistry, Physics, Mathematics, Health, Economics, Dance, and Literature.